JAKE: Catherine Fisher (INCARCERON and SAPPHIQUE ) - complex and compelling reads. GREGORY: Scott Westerfeld (LEVIATHAN) - killer steampunk! ALYSSA: I can't pick just one so I'm going with Andrea Cremer (NIGHTSHADE ) - currently reading and loving it -, Brenna Yovanoff (THE REPLACEMENT ) - had me laughing crying and creeped me out! -, Leah Cypress (MISTWOOD) - original and full of twists -, and Tricia Rayburn (SIREN ) - who happens to be showing up for an interview later today. I still have yet to read Incarceron or anything by Scott Westerfeld. Just stopping by. I think your blog is cool. It even looks cool. Keep it shiny! Hey Guys! Thanks for all the giveaways! Very cool! I'm looking forward to checking out the authors you mentioned, too! Hope you have a happy reading weekend! already follow and great giveaway and will have to check those books out. Great authors! I LOVE S. Westerfeld and have Leviathan but I haven't gotten to it yet :( I also have Incarceron, Mistwood and Siren all on the shelf but sadly unread! I am really looking forward to Nightshade- the cover is incredible! We’re stopping by to say hi. We are new followers! 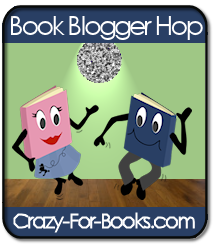 We love the blog, and my daughter is not quite a teen yet, but she is a new book blogger. Leah Cypress is one of my choices too. I didn't think of Catherine Fisher. Definitely a great discovery for me this year. Hi! I just found you through the blogger hop and thought I'd follow! Great Contest!!! Have a great Friday!!! Hi, just blog hopping by! Happy Friday! I'm a new follower. Leviathan and The Replacement are both on my wishlist. Happy Friday. Come see who my new favorite authors are. Just want to say hi to some of my fave teens! Hope everything is going and you are having a good summer and aren't spending it at the computer! I live in Maine on the coast and wish I could have prevented Justine's untimely demise, but, alas, fiction and reality mix only in fantasy. Stopping by on the hop, and I sent my daughter your way to see your blog. she is also a teen blogger if you are interested. I'm a new follower. I am already a follower of this awesome blog! I would have to say it has been Alice Clayton author of The Unidentified Redhead and Anastasia Hopcus author of Shadow Hills. Their debut novels were fantastic. I was glued from start to finish. Already following you. Several of your favs are in my TBR pile. 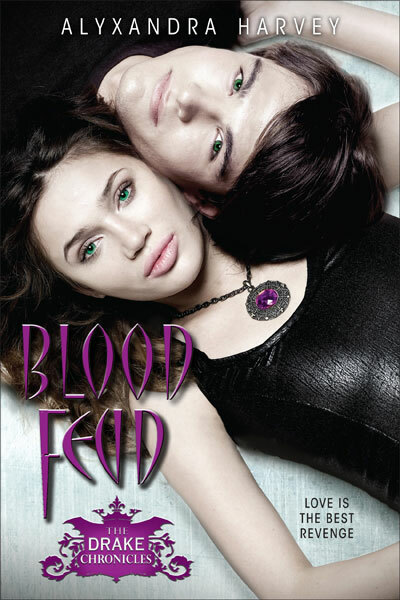 I cant wait to read this book!!! It sounds wonderful!! I'm just hopping by. Scott Westerfeld is great though I haven't read Leviathan yet. I'm really excited to read Siren! If you have a chance, please visit my blog too! Have a nice week! Mine's Gail Carriger. I loved Soulless! Love 'em both - thanks for hosting. I'm dying to get my hands on Nightshade! Thanks for Alyxandra Harvey giveaway!